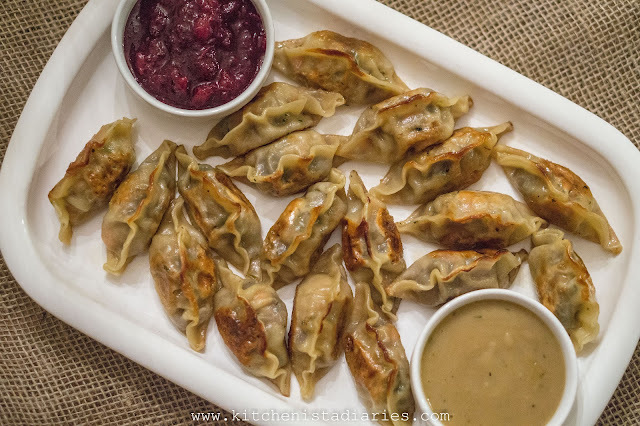 Thanksgiving prep is well underway here, but I thought I'd share a late addition to our menu this year. 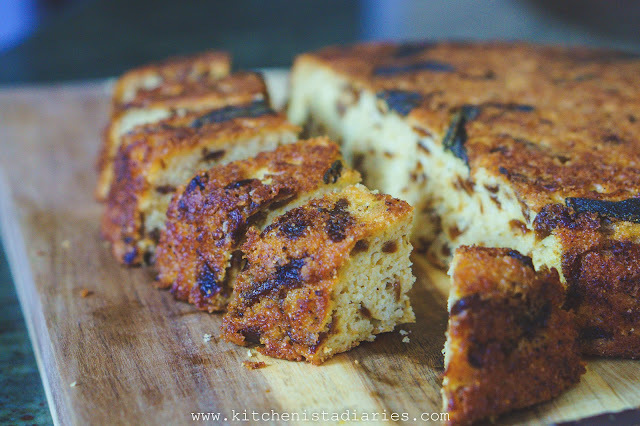 I made this cornbread to go with our Sunday dinner last weekend and it was so good that I was inspired to do a cornbread dressing this year. I've never wanted cornbread dressing, so that says a lot. It's been ages since I posted my jalapeno bacon cornbread recipe, which was shortly after receiving my first cast iron skillet. 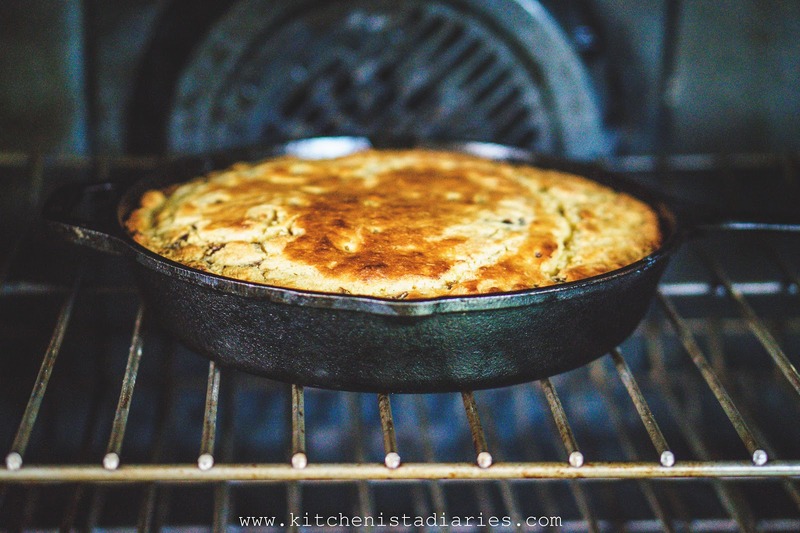 I'm still an avid fan of cooking cornbread in cast iron. Nothing else gives you the same crispy crust, and that's really what good cornbread is all about. What has changed is that I use buttermilk now, often along with sour cream like I did for this recipe. 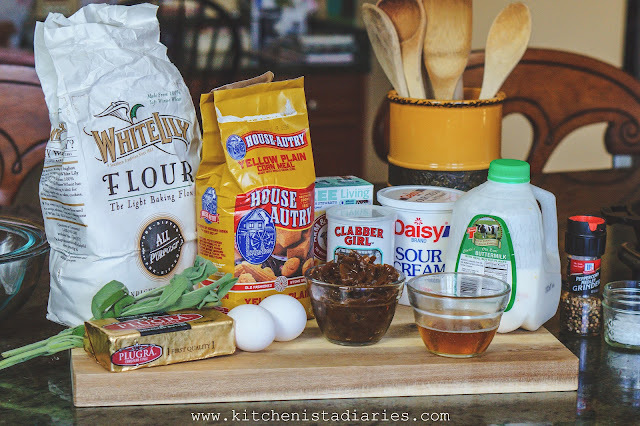 I also use White Lily flour, although a 50/50 blend of regular all-purpose and cake flour is still a great substitute. 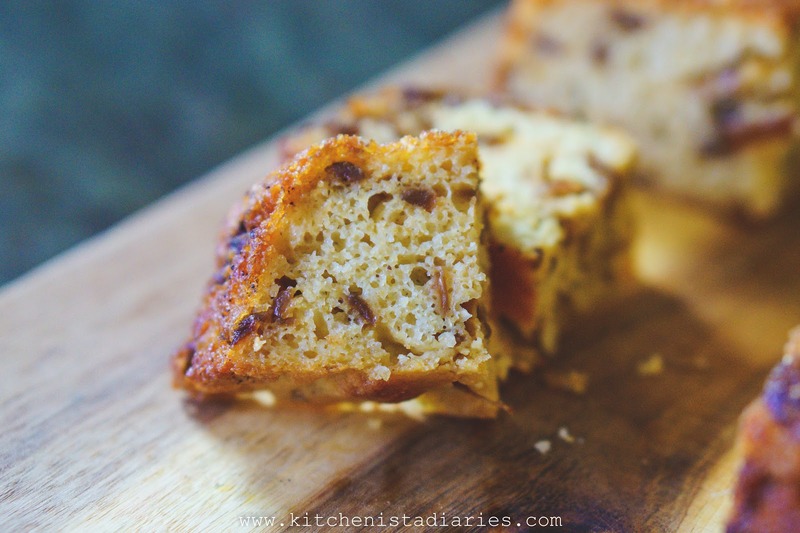 I honestly thought I had my basic cornbread recipe down, which has been fairly easy to modify with additions like bacon, cheese or herbs. But last weekend, I came across a Chowhound thread discussing cornbread and left with an unexpected tip that I feel has solidified my technique. Turns out that you don't need to add any oil or butter to the batter, instead you can add it all to the hot skillet. The result is an insanely crisp crust and an interior that is airy, flavorful and not at all greasy. 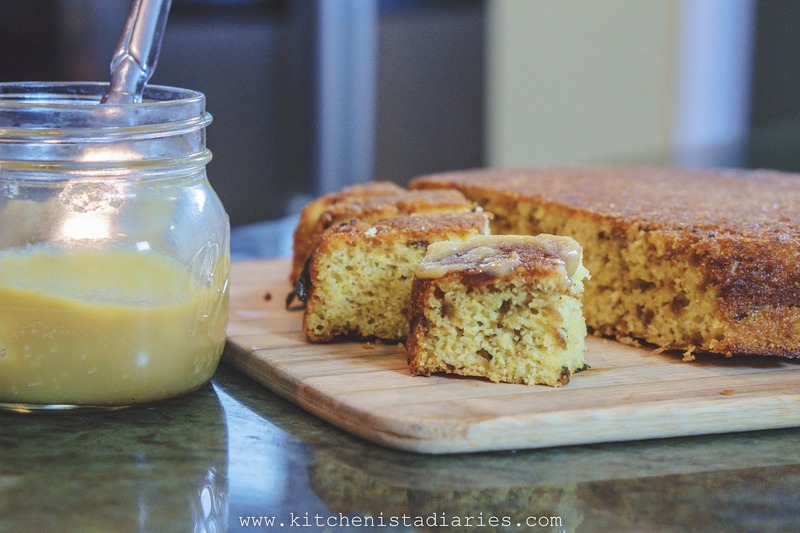 I was skeptical reading this as I'd never come across any cornbread recipe written this way, but I'll never go back! With that background info out of the way, let me just tell you.... these flavors? Listen. You'll never, ever go wrong with browned butter or caramelized onions. Add some sage in there and you've got yourself a Thanksgiving flavor bomb. This is the perfect fall or winter cornbread. 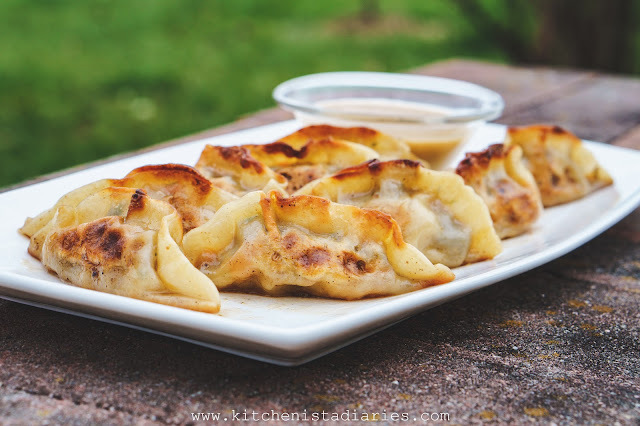 It's savory and nutty, balanced with the natural sweetness of honey and onions. It smells like the best dressing you've ever had, and you didn't even make the dressing yet. I am obsessed with brown butter right now. I'm sure I'll be back telling you guys more about that in another post. Browning the butter is built into this recipe, but seriously, another time - grab a good stick of butter and brown it. Use it to slather on this cornbread, or biscuits, or pancakes, or bake with it, or baste a roasted chicken, or toss some pasta in it... ok you get the point. Brown butter is everything and you're going to be hooked. White Lily is made from a soft winter wheat and has a finer texture than other all-purpose flour brands. 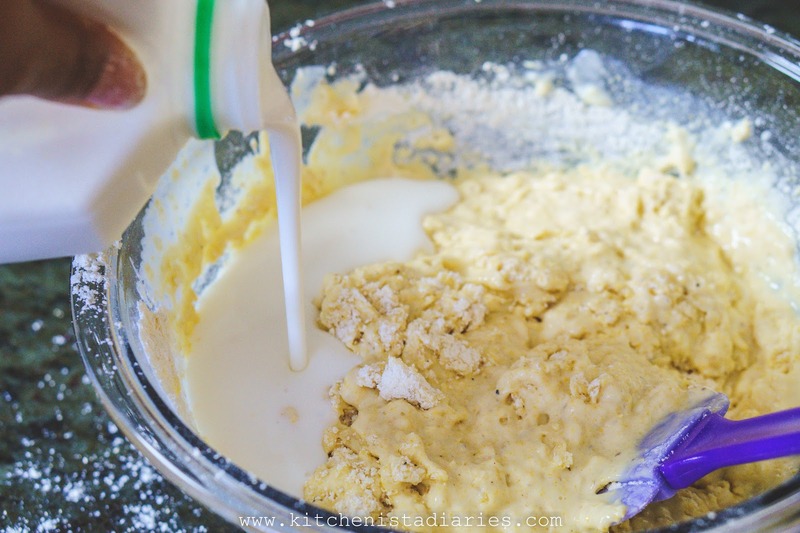 If you prefer, 1/2 cup regular all-purpose flour and 1/2 cup cake flour can be substituted. 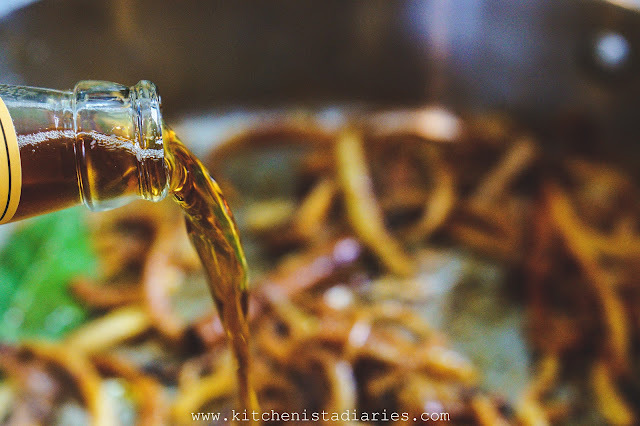 The caramelized onions should be made ahead of time and cooled. 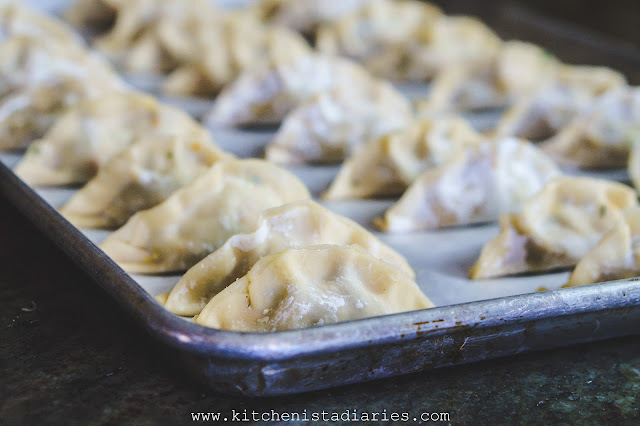 You can follow the process in this recipe if you need help (make a big batch and store them in the freezer to use in your recipes.) If you're cooking the onions in the same skillet that you plan to cook the cornbread in, make sure to wipe it out first. Preheat oven to 400°F. 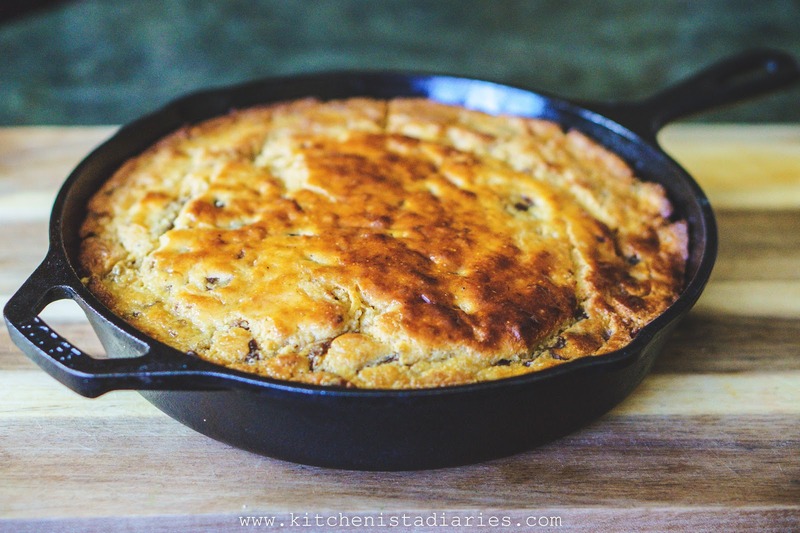 In a cast iron skillet, melt butter over low heat. 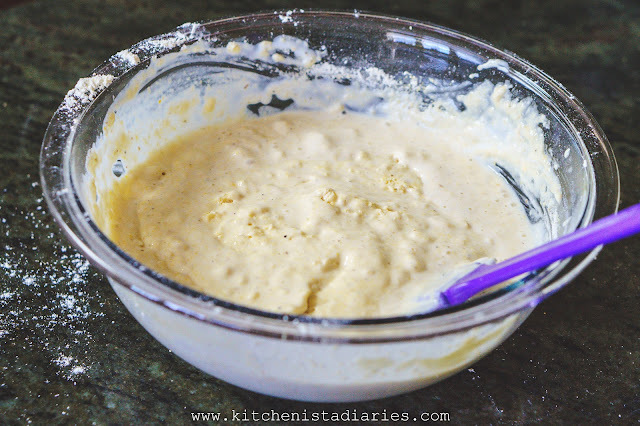 In a small bowl, whisk together the cornmeal, flour, baking powder, baking soda, salt and pepper. 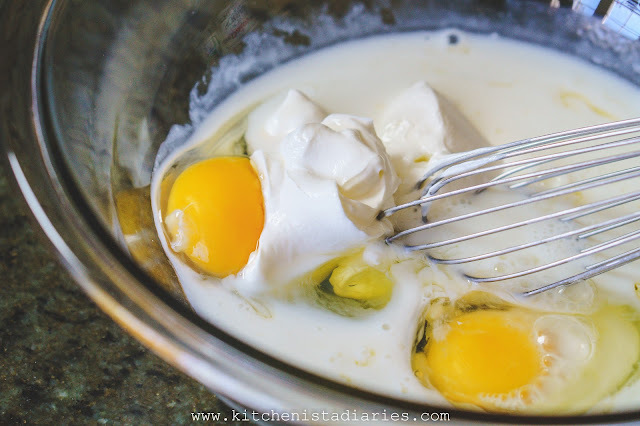 In a separate bowl, combine the eggs, honey, sour cream and buttermilk. 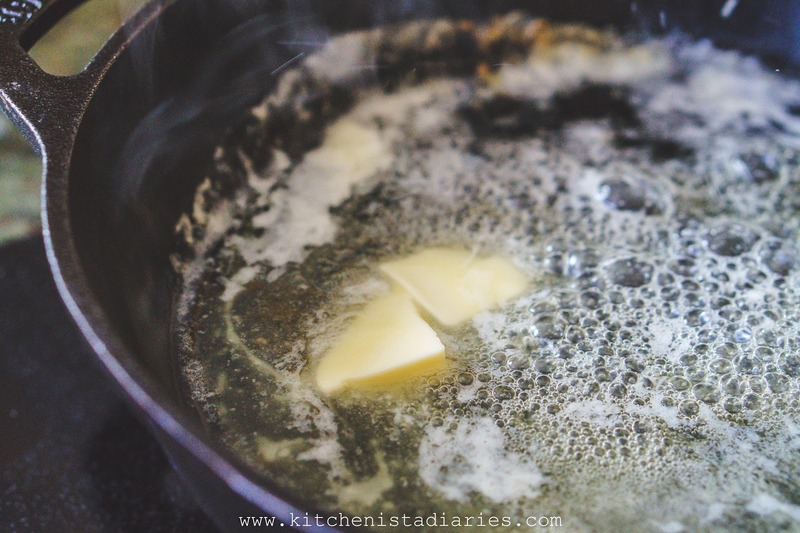 Once the butter has melted, increase heat to medium. Add sage and cook until the butter has stopped foaming, a few minutes longer. 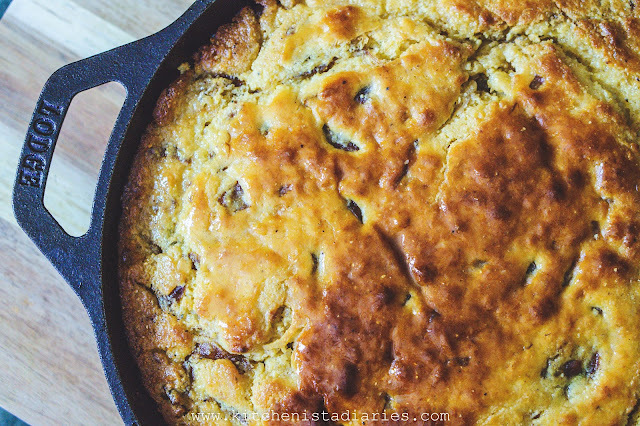 Meanwhile you can finish the cornbread batter, keeping an eye on the skillet. 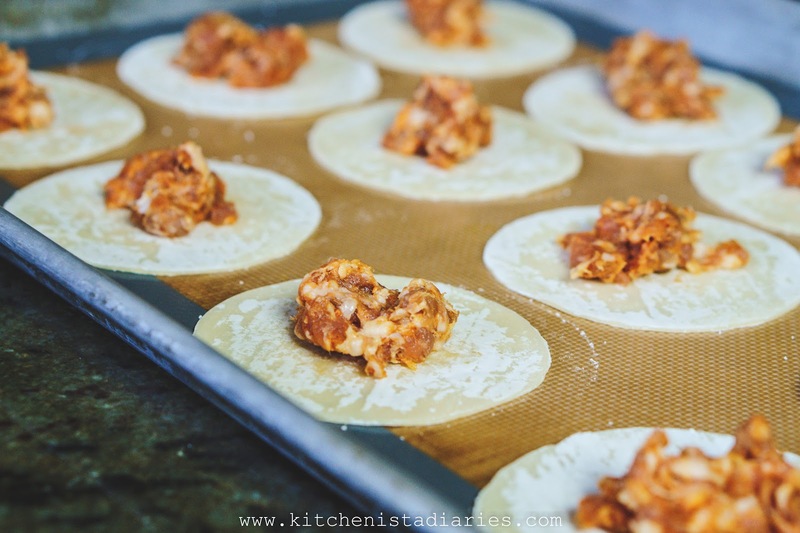 Fold the dry ingredients into the wet, being careful not to overmix. You can add more milk if it's too thick, like I realized I needed to do here. I added about another 1/4 cup of buttermilk. 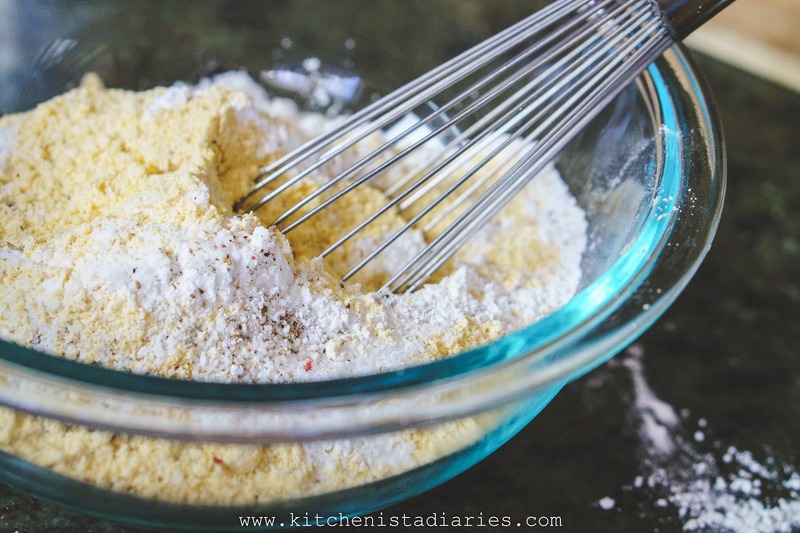 It will vary from batch to batch depending on how accurately you measured the flour or the type of cornmeal used. 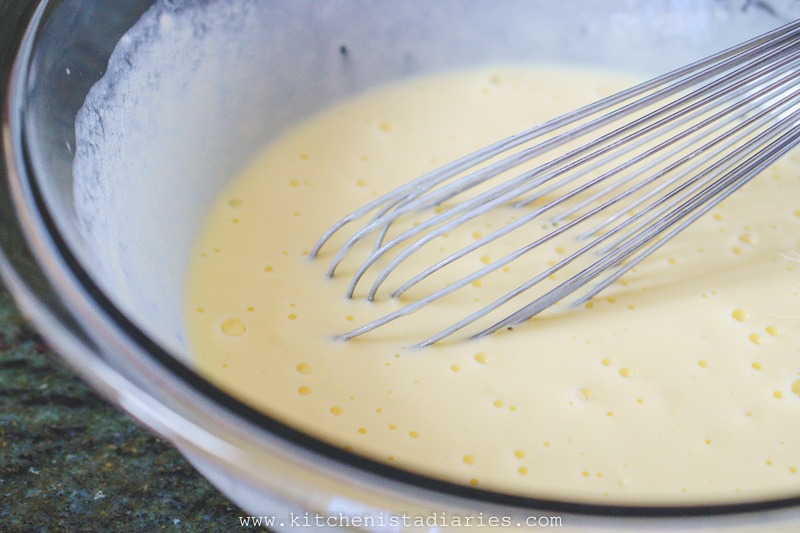 Your batter should be about the consistency of pancake batter - lumpy and pourable. Fold in the caramelized onions. Back to the skillet. 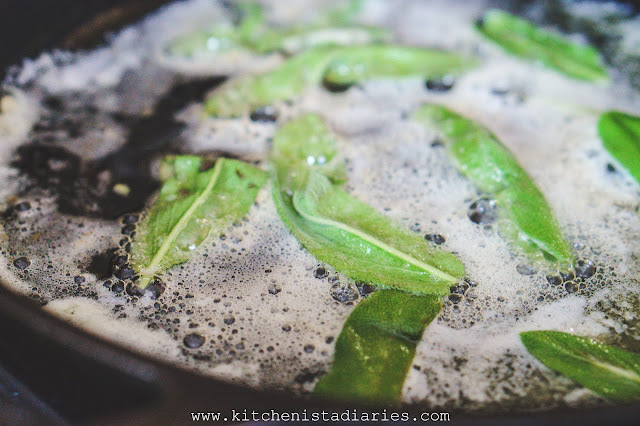 Once the butter has stopped foaming and the sage is crispy you should notice that it's starting to darken in color... If it's too difficult to see the color of the butter in your skillet, just splash a small spoonful onto a white dish. You're looking for a deep golden brown. 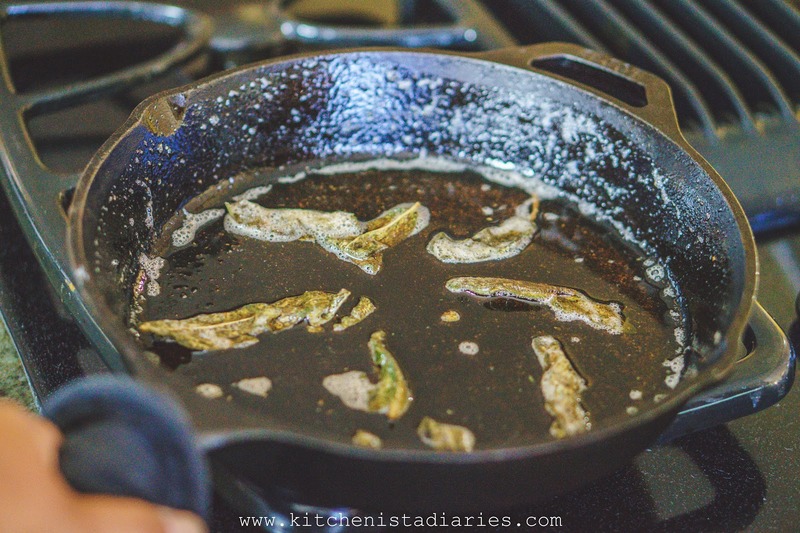 You can remove the sage or just leave it in the skillet. 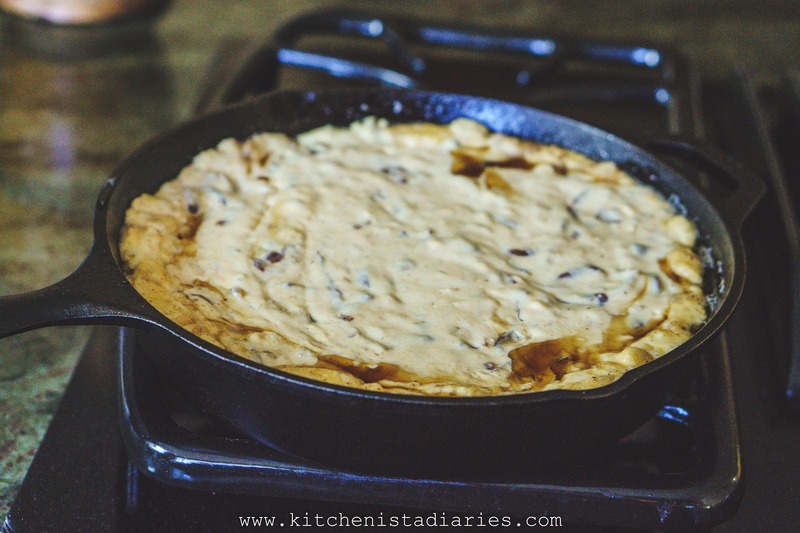 Carefully swirl the browned butter around the skillet to coat all of the sides. 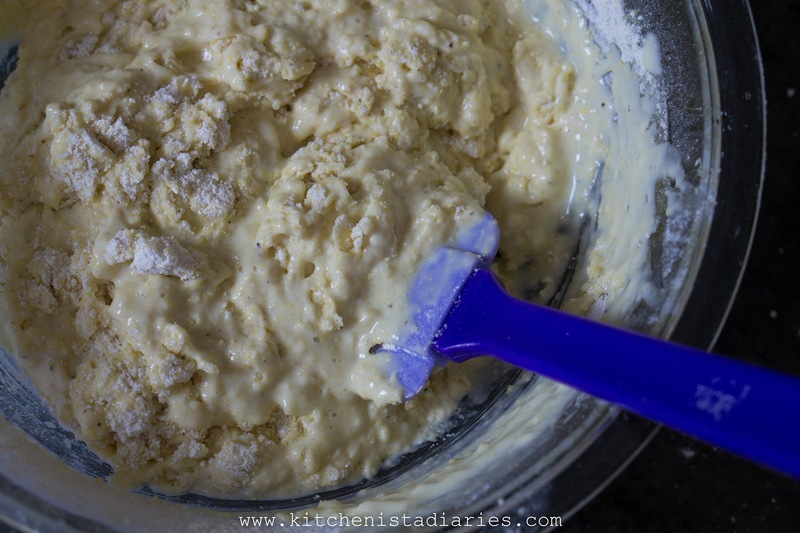 Pour in the cornbread batter. It should sizzle slightly and the butter will seep around the edges. That's what you want! 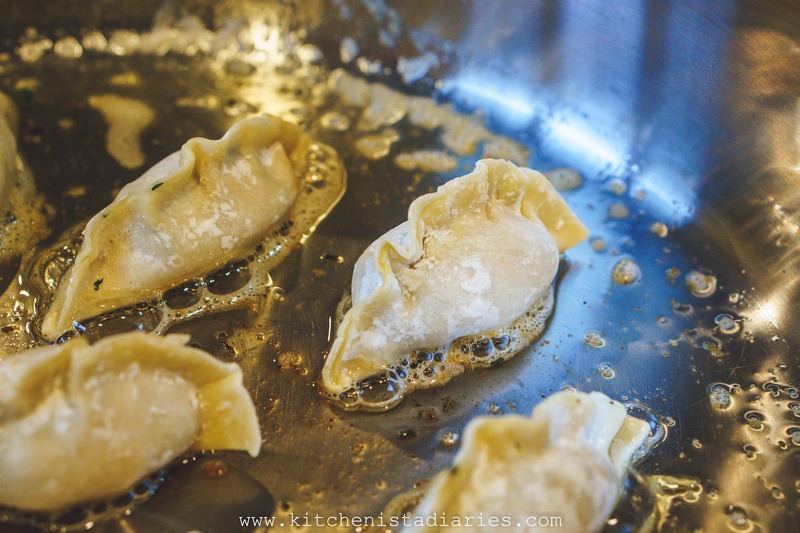 Immediately transfer the skillet to the preheated oven. 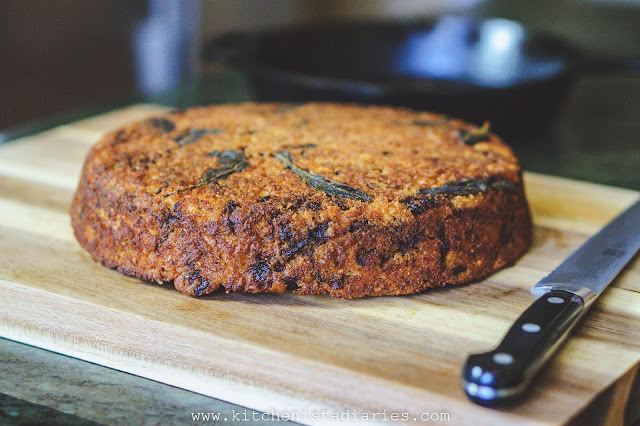 Bake at 400°F for 25 min or until a knife inserted in the cornbread center comes out clean. Let rest for 15 minutes after removing from oven. 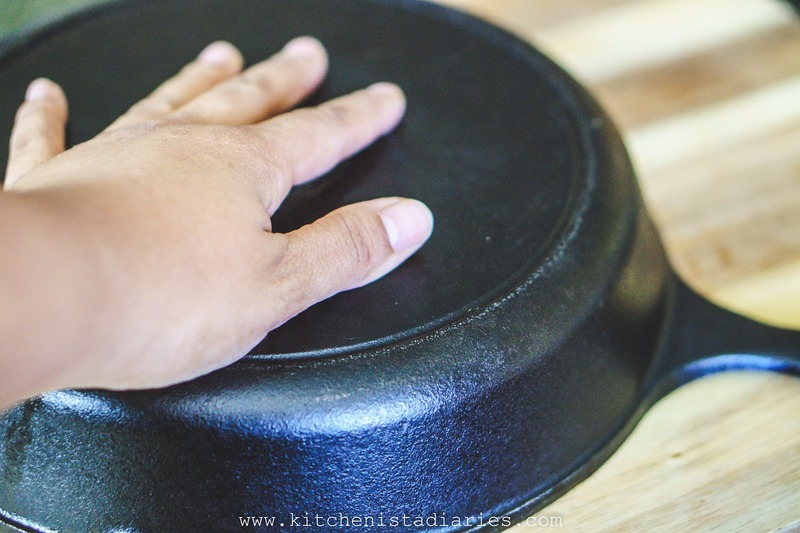 With the skillet in one hand, use your other hand to hold a large plate or cutting board over the top of the cornbread. Carefully flip them over so the cornbread can fall out. Now that beautiful crust is revealed! Also - this is a much better way to serve the cornbread so you're not scratching up your skillets. Because of the buttermilk and onions, it's best to store leftovers in the fridge. It can be reheated in the microwave, or to recrisp the crust, in the oven. I had to control myself and only ate one small piece from this batch. But I'm sure the wait will be worth it when I turn two loaves of this special cornbread into our Thanksgiving dressing! If I don't make it back to the blog before the holiday, Happy Thanksgiving! 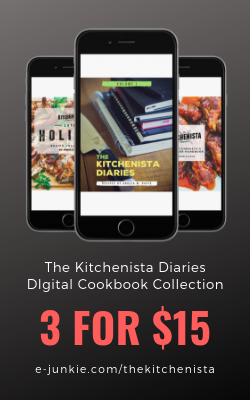 Don't forget you can still pick up my ebook if you're looking for some last minute help to pull off the feast! We tend to focus on roasting whole turkeys when Thanksgiving rolls around, but there's plenty of ways to incorporate turkey into your non-holiday meals. 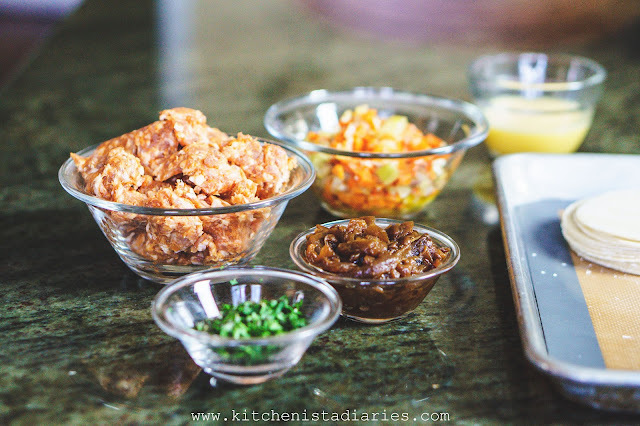 Turkey thighs are inexpensive, don't require any advanced preparation and are almost impossible to screw up. 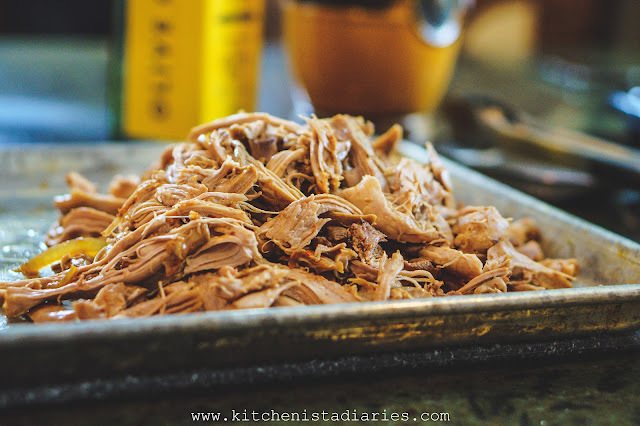 When braised, the yield is succulent dark meat that shreds as easily as pulled pork and is perfect for tacos, enchiladas, sandwiches, chilis and soups. "Braising" is a technique that we usually associate with tougher cuts of meat and involves a slow simmer in some sort of flavorful liquid. During the cooking process, the connective tissues in the meat have time to break down so you're left with a tender, falling off the bone texture. If you've ever cooked short ribs, pot roast, or lamb shanks, you most likely braised them. Aromatics and vegetables are often added to the same pot, which not only adds flavor to the sauce but can turn a braise into a one-pot dinner. Braising can take several hours for bigger cuts of meat, so autumn and winter tend to be the seasons for these hearty, slow cooked recipes. 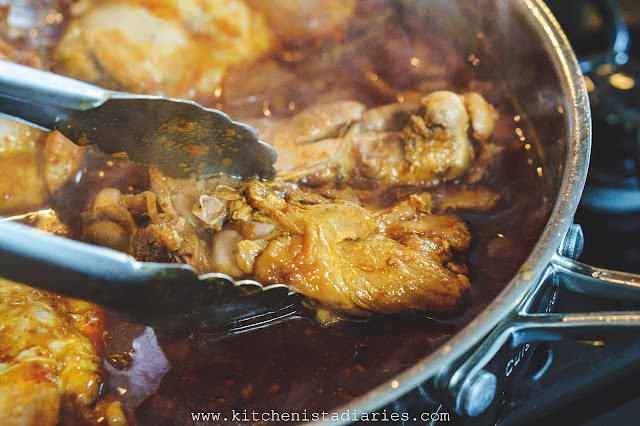 However, the same technique also works (in much less time) on smaller cuts of meat and poultry such as the chicken quarters in my old Moroccan Skillet Chicken post. 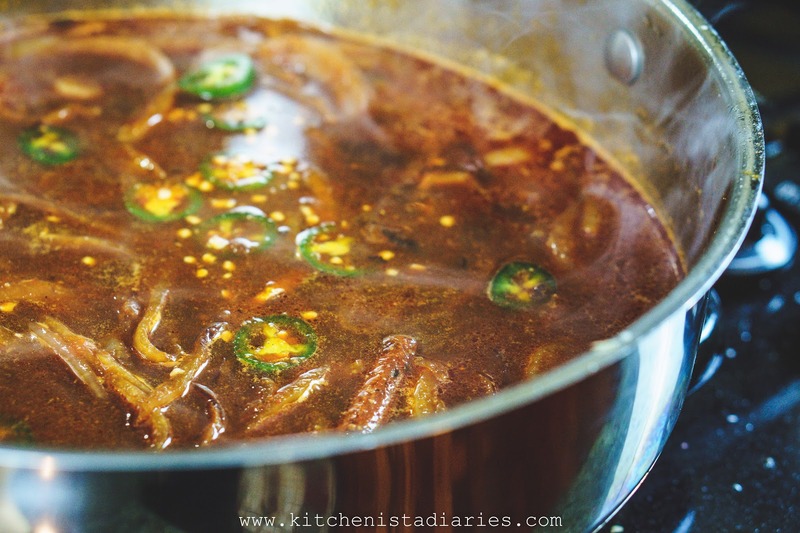 For this recipe, I created a braising liquid flavored with dried Mexican chiles, stock and beer. 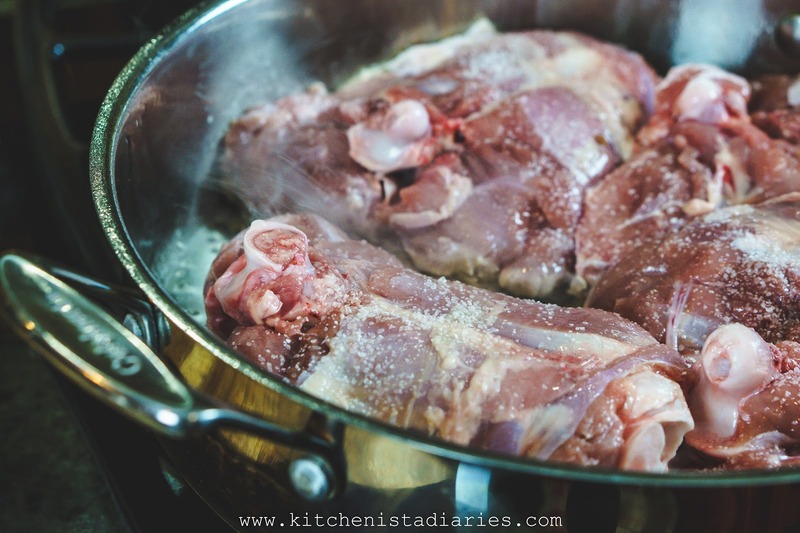 Bone-in turkey thighs are partially submerged and simmered until they are cooked through and falling apart, and the meat is then pulled off the bone. You can use chicken thighs here; I chose to use turkey as it's easy to find this time of year and it's a meat I often forget to consider! 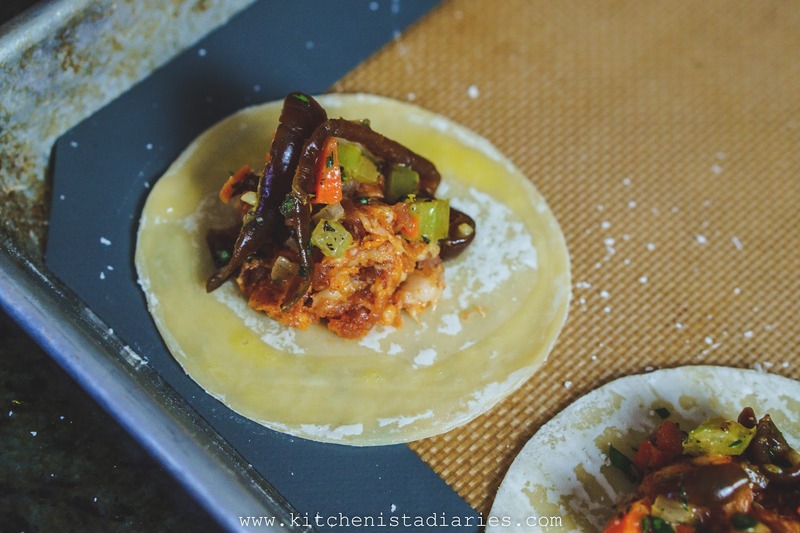 Both the chiles and beer in this recipe are flexible so use what you have (or prefer.) 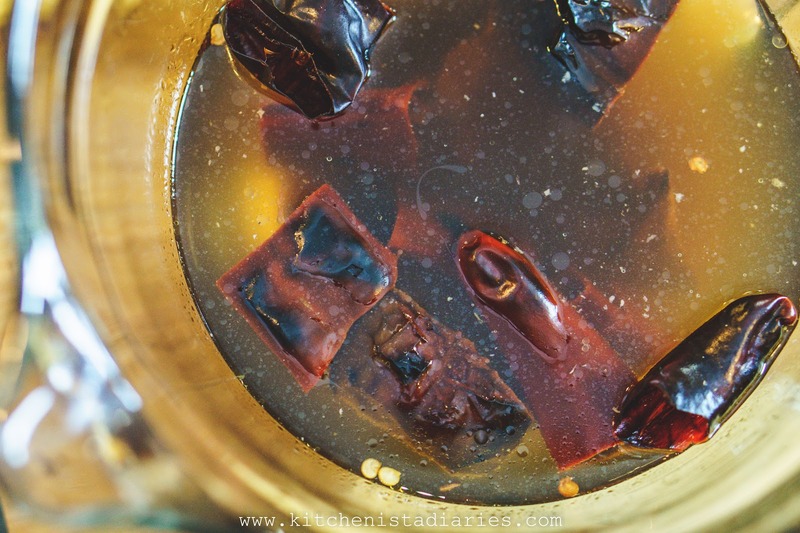 I'm partial to a mix of ancho, guajillo and New Mexico chiles with fresh jalapenos for heat. I love cooking with dark beers and recommend stouts for their chocolate and coffee notes which work well with this flavor profile. They can be a little bitter, so if that's not your thing a brown ale or porter can lend a sweeter finish. And if you hate beer or simply can't cook with it, you'll be happy to know you can simply replace the beer in the recipe with additional stock. As with most braises, the sauce is the real magic here. The liquid left in the pan is infused with drippings from the turkey, plus the flavors of the chile peppers, beer, onions and garlic which melded together. It's super easy to reduce that liquid and use it as a rich sauce for your dish, like the turkey enchiladas in the picture above. Alternatively, add tomatoes and additional stock to turn out a tasty soup, like this delicious turkey tortilla soup! *For a Whole 30 compliant dish, omit the sugar and replace beer with additional stock. 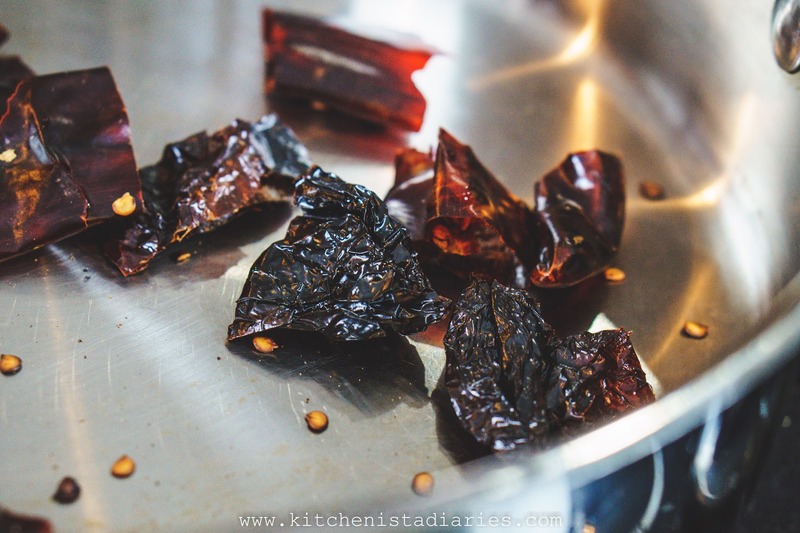 Whenever you cook with dried chiles, you'll get the most flavor from toasting them first. Chop the peppers into 1" pieces, discarding the cores and as many seeds as you can. In a dry pan over medium low heat, toast the chile pieces for a minute or two until fragrant. Stir frequently to prevent scorching. Transfer the chiles to a large microwaveable bowl, cover with stock and microwave for five minutes or until the stock is steaming hot. Set aside and allow the chiles to steep until softened, about 15 minutes. 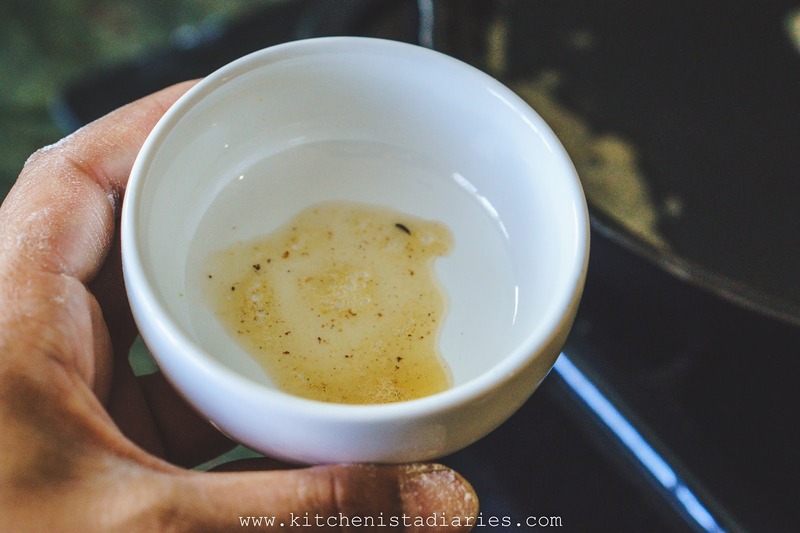 If you're using whole spices, you should also toast them before grinding. I'm a big fan of starting things out this way especially with cumin and coriander (I also added my black peppercorns and cinnamon stick here.) 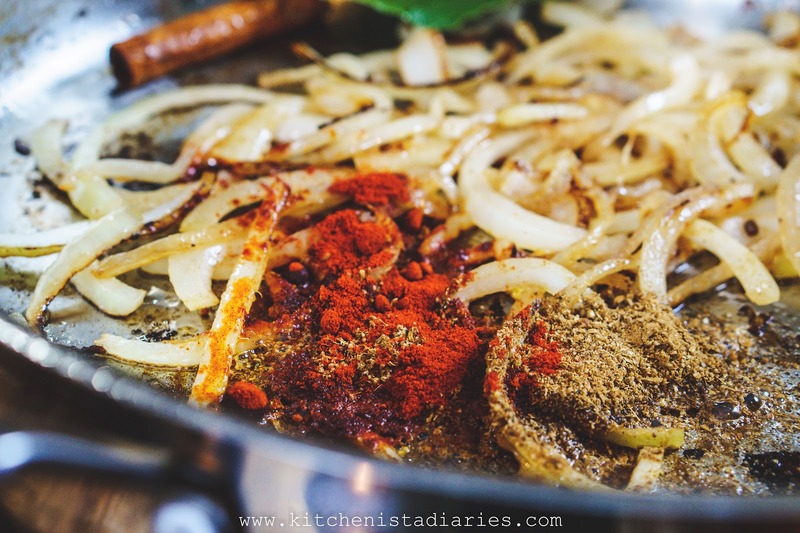 The flavor of freshly ground and toasted spices is phenomenal so I'd really urge you to consider taking that extra step with your recipes! Add the spices to the dry pan, stirring frequently for a minute until fragrant. 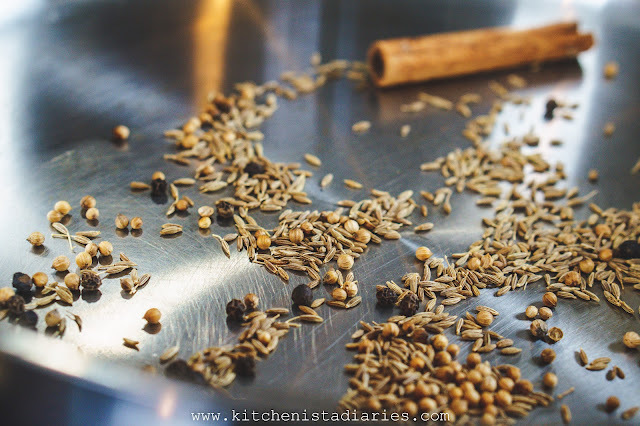 Remove and set aside; the cumin, coriander and black peppercorns can then be ground. Now that the pan is free, jack up the heat to high and add the oil. Season the skin side of the turkey liberally with salt. Place the turkey thighs skin down into the pan; you should hear it sizzle. Season the other side of the turkey thighs once they're in. If all of the thighs won't fit you'll need to work in batches. This is why I opted to use a spacious braising pan instead of my usual Dutch oven. They both ultimately would do the job but my pan has more surface area. 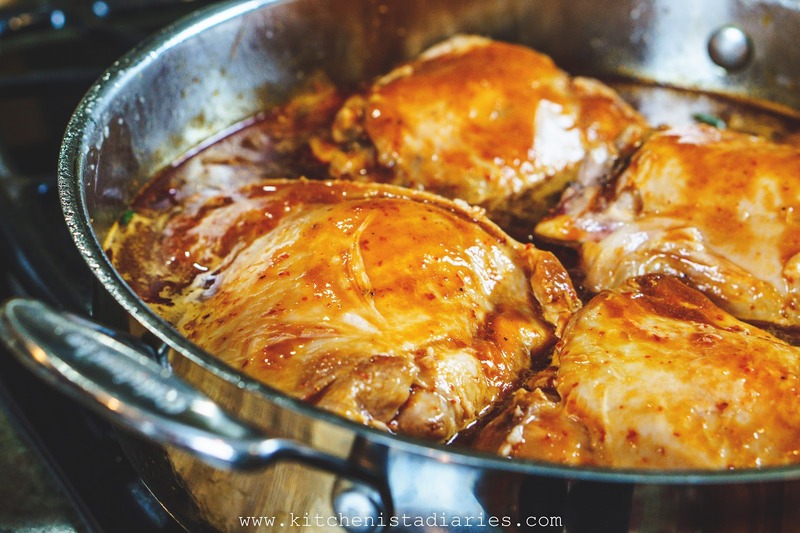 Ideally, you'll want the turkey thighs to fit all in one layer for even cooking and to minimize the amount of liquid needed to braise. 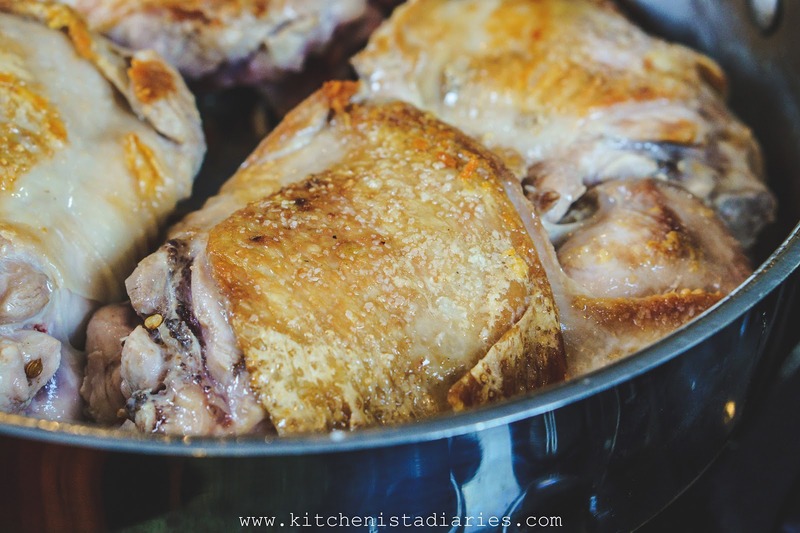 Leave the pan uncovered and brown the turkey thighs until the skin is crisp and golden brown, about 10 minutes. 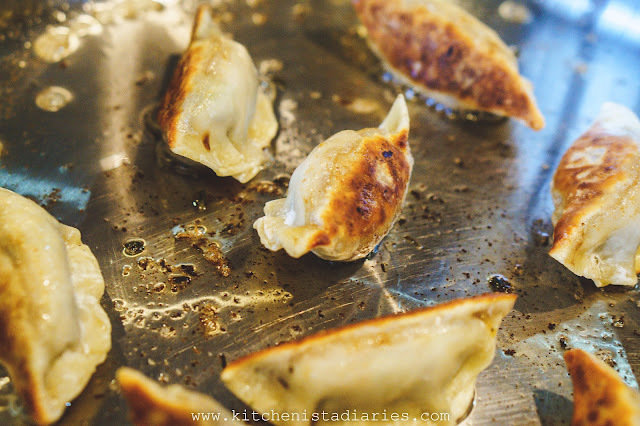 Turn them over and cook on the other side just for a few minutes longer. Remove the turkey and set aside. When cool enough to handle, pull off the skin. It's done it's job here by adding lots of flavor to the pan, but it won't stay crispy during the braise and just adds excess fat that you'd then need to skim later. 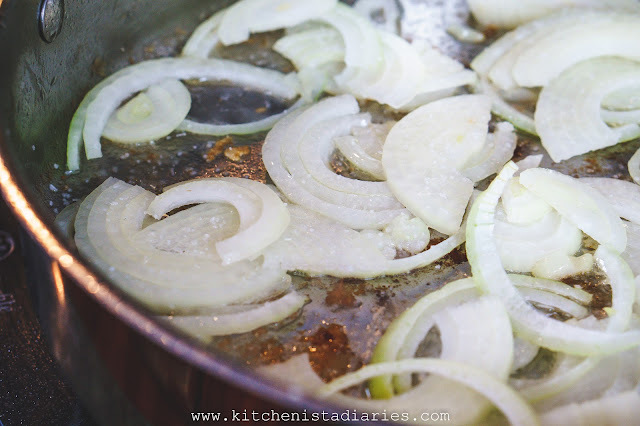 Turn down the heat slightly and add the sliced onions. Drain any excess of two tablespoons of fat in the pan. Season with a pinch of salt and cook until the onions soften, about 5 minutes. Add the garlic, bay leaf, cinnamon stick, and ground spices including paprika. Stir to coat the onions and cook for another minute until the spices are fragrant. 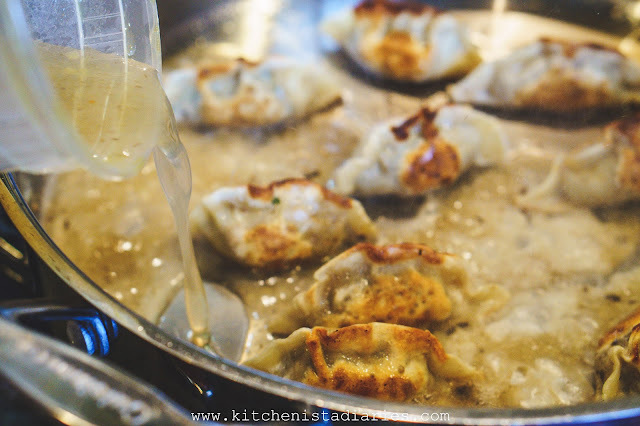 Pour in the bottle of beer to deglaze the pan. Fancy way of saying you're introducing liquid to help release and dissolve browned residue in the pan. Scrape up any crispy bits with your wooden spoon. Allow the beer to boil off, cooking until it reduces and thickens slightly, about 5 minutes. By now your chiles should have softened in the warmed stock. 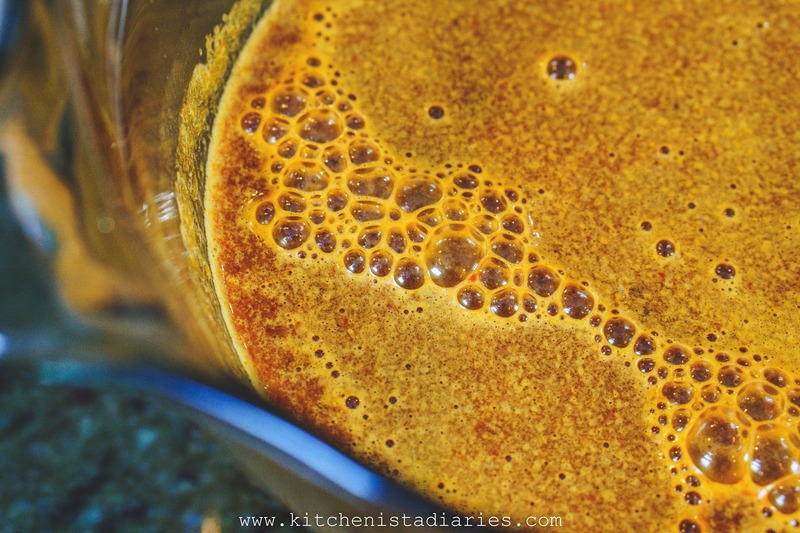 Transfer the stock and chiles to your blender. Add the brown sugar (if using) and puree until smooth. Note: None of the dried chiles I recommended above are usually spicy, but if you used a different blend or you're just sensitive to heat, you may want to stop and test the flavor here. 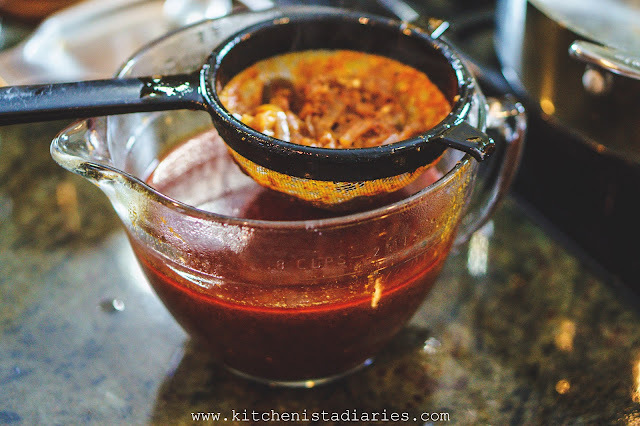 I had puya chiles in one batch which ended up being way spicier than I intended, so to fix that I ended up having to dilute my sauce (I scooped out a couple cups and replaced with fresh stock.) Easy solution, but just a word of caution so you don't end up surprised or waste ingredients. Always taste as you go. It's such an important thing as you cook and yet we often forget to do it. 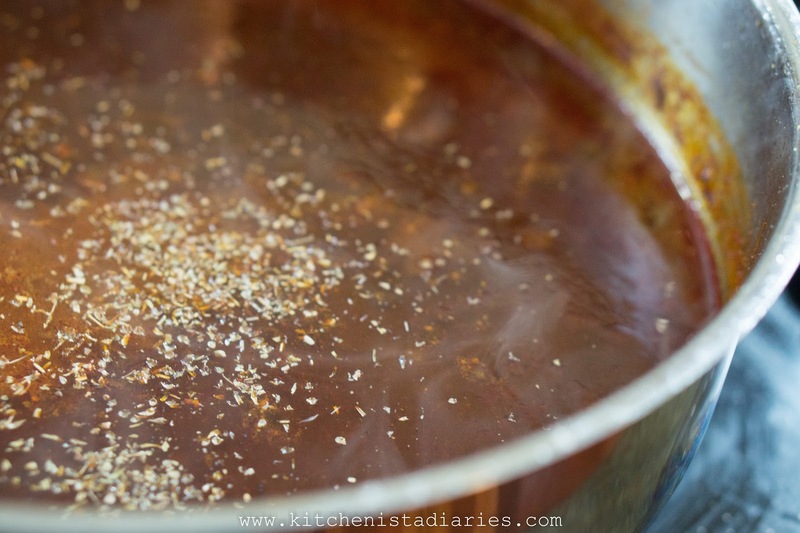 To the pan of onions and beer, add the pureed chile and stock mixture. Season to taste with salt, then add the sliced jalapenos. Bring to a boil. Reduce heat to low. Arrange the turkey thighs in the pan; the liquid should reach up about half way. If it doesn't, you can add water. 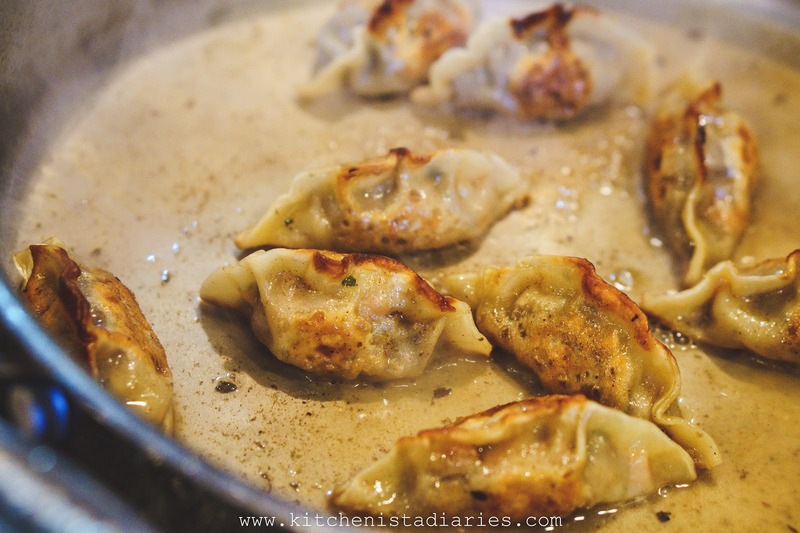 Cover the pan and simmer for an hour. Check the turkey thighs to see if the meat is cooked and fork tender. I don't typically bother with thermometers for recipes like this because there's not any mistaking meat that's falling off the bone for being undercooked. For the record, 165°F is the point of being safely cooked, and the turkey will probably be a bit hotter than that before it is tender enough to pull. It should easily begin to shred if you pull it with a fork. If not, cover the pan and continue simmering, checking in 15 minute increments. It's not true that you can't overcook dark meat (the longer it simmers in the sauce it begins to lose moisture and dry out), but it's not as likely to happen as it does with breast meat. Strain the solids from the sauce. You may want to toss the onions and jalapenos with the shredded turkey, but at least discard the cinnamon and bay leaf. 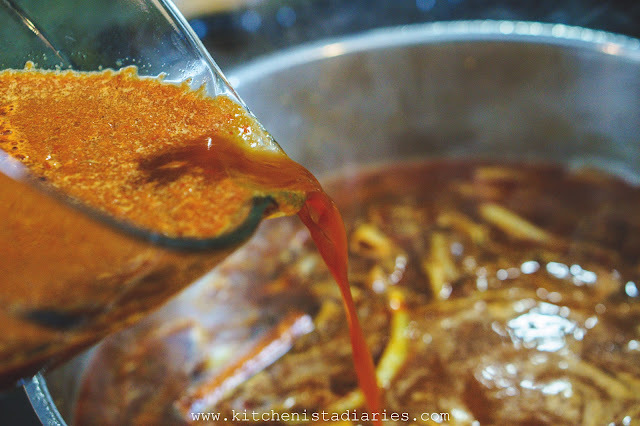 If you have time, transfer the sauce to the fridge or freezer to help it chill a bit. This makes it easier to skim any fat from the surface. Once the turkey is cool enough to handle, pull out the bones and shred the meat using two forks or your hands. 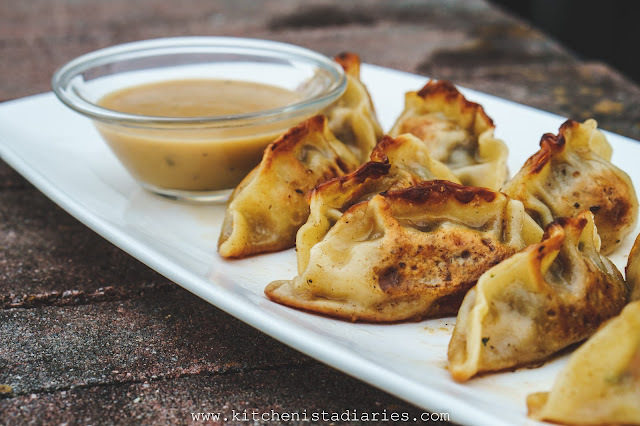 You can toss it with the sauce before using or to keep it moist if refrigerating or freezing for later use. Return the skimmed liquid to the pan. Add whatever else you want to simmer in the broth. I added the oregano, apple cider vinegar, a can of crushed tomatoes and another cup of chicken stock. 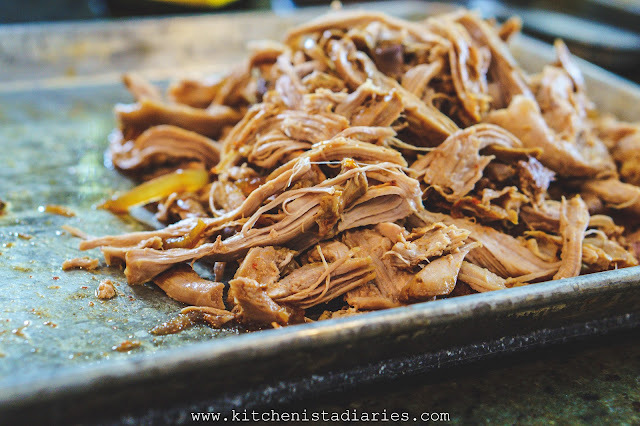 After it simmered and was seasoned to taste with salt and pepper, I added the shredded turkey and simmered for a few minutes to warm the meat. 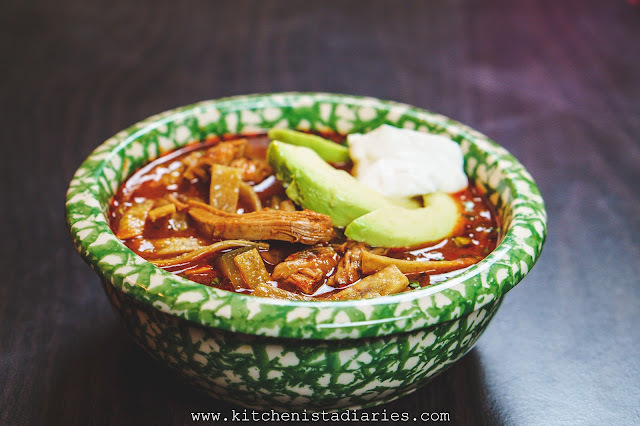 I garnished with crisped tortillas, sour cream, cilantro and avocado to make a turkey tortilla soup! Return the skimmed liquid to the pan. 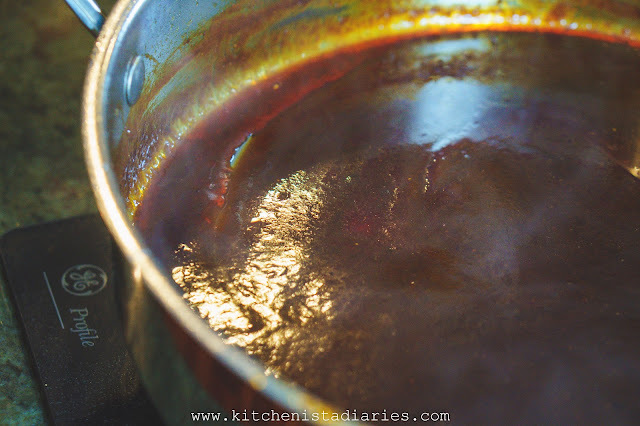 Simmer over medium heat until it thickens to the desired consistency. Finish with the oregano and vinegar and simmer for a couple minutes to let the flavors meld. Season to taste with salt and pepper, if needed. This took about 15 minutes to thicken up, and I used it as an enchilada sauce! 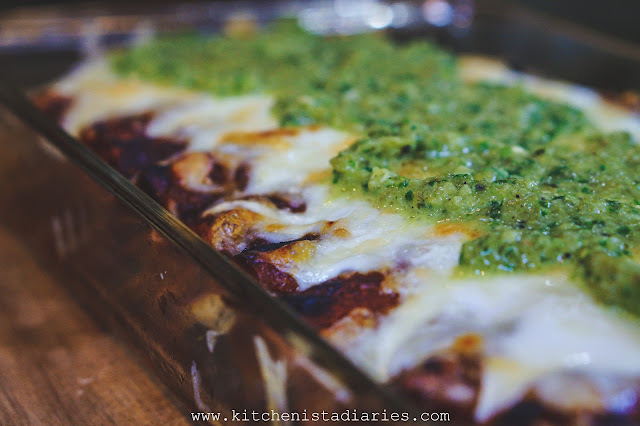 I'll probably post the enchiladas as a separate recipe another day, but if you're itching to make them before then... 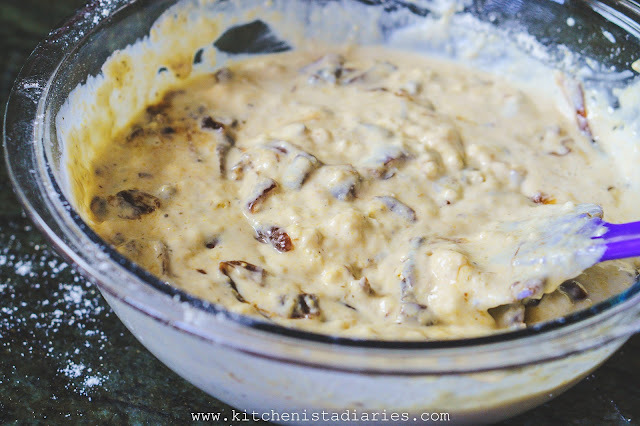 Grease a small casserole dish and ladle a thin layer of sauce over the bottom. 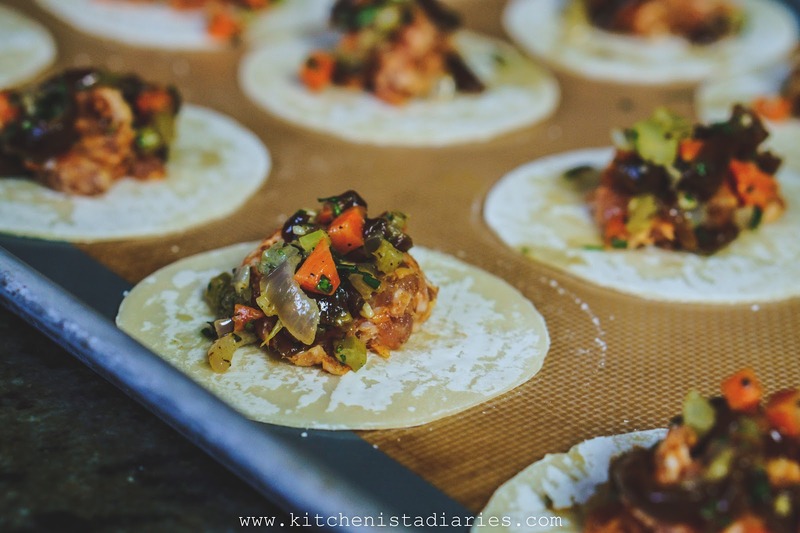 Dip one corn tortilla at a time in the warm sauce, letting the excess drip off. Transfer the tortilla to a plate, fill with some of the shredded turkey and roll up. You can make these with just turkey or add anything else that you want; I added some sauteed chard. Place the enchilada in the casserole dish. 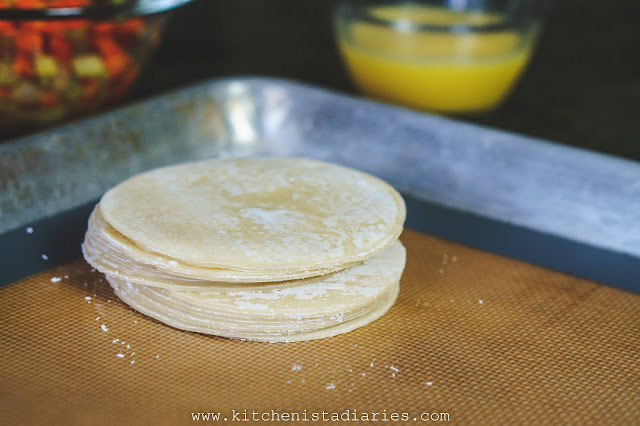 Continue filling the rest of the tortillas until you can't squeeze any more in the dish. Ladle the rest of the sauce over the enchiladas. 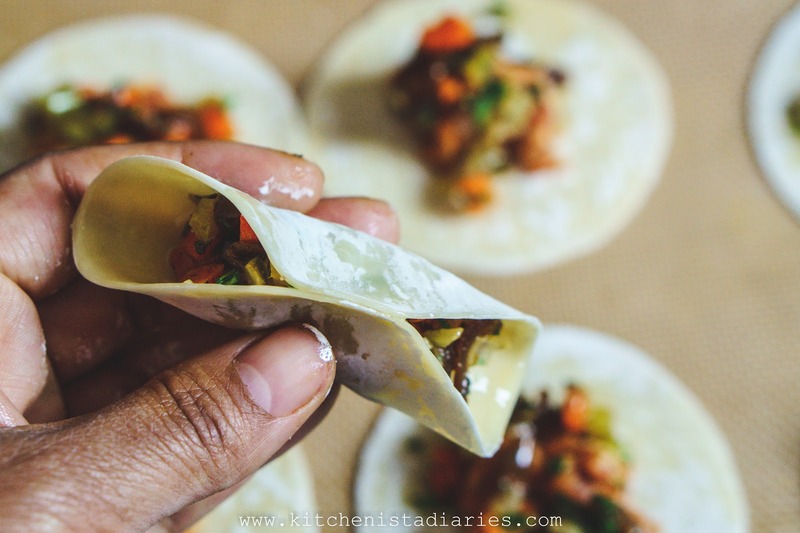 Spread a layer of Mexican crema or sour cream, followed by shredded cheese (quesadilla melting cheese or Monterrey Jack both work well.) 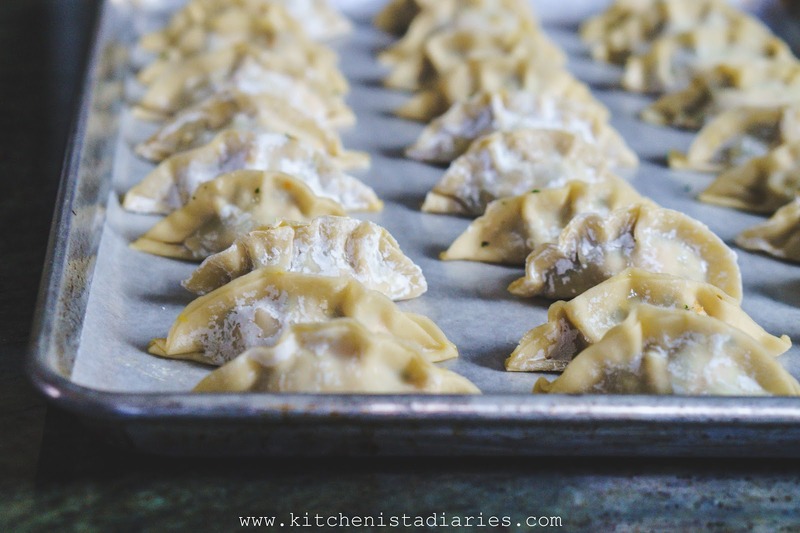 Place under the broiler just until warmed through and cheese is bubbly. 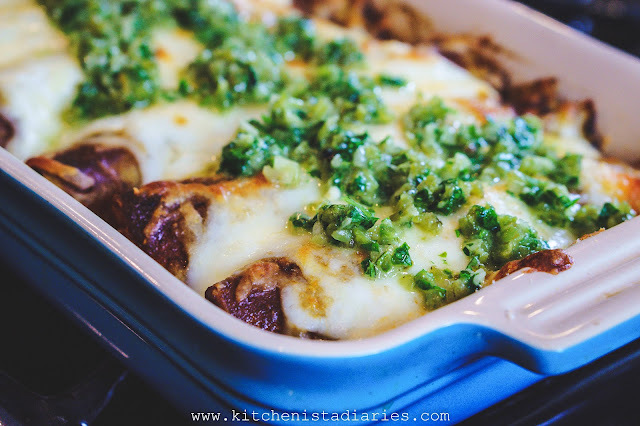 I always like topping enchiladas with something fresh after baking, so this salsa was a puree of onion, charred poblano peppers, lime and cilantro. 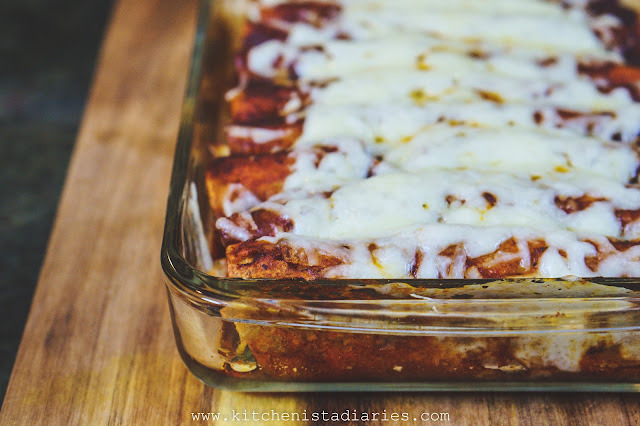 I didn't get step by step pictures of the enchiladas for this round, but I'll post a "part two" after the craziness of the holidays dies down. 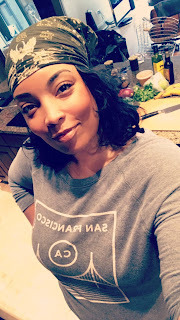 I hope the pulled turkey recipe comes in handy, however you choose to use it! The best thing to drink with beer braised turkey would be more beer of course, so check out the previous post for some Thanksgiving pairings that would work here too!